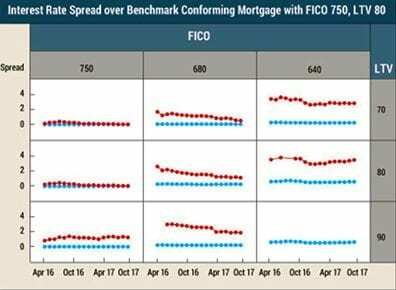 Mortgage rates today are higher across the board, as the prices of mortgage-backed securities (MBS) continue to fall. Bond prices are also in the dumps, and that, according to Mortgage News Daily, means inflation is on the radar in a big way. As this trend picks up steam, the odds of mortgage rates falling back to previous historic lows become considerably longer. This morning brought us the Case-Shiller Home Price Index, and it contains great news — for those who already own homes. The 20-city index increased 6.3 percent in the three-month period ending in October. 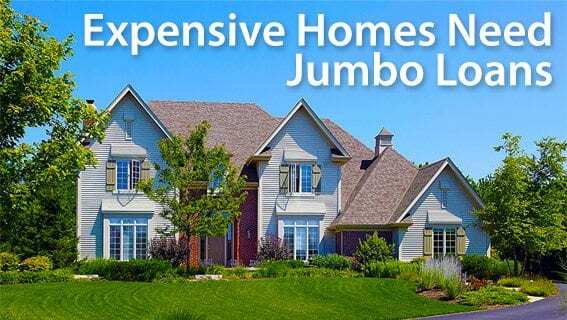 Surging prices are all about the limited supply of homes to buy, and rising prices lead to concerns about inflation — not good for interest rates. Finally, The Conference Board reported that its Consumer Confidence score rose in January, after falling in December. January’s reading came in at 125.4 (1985=100), up from 123.1 from December. That’s (sorry) more bad news for mortgage rates. Rising confidence means greater spending in the future, which leads to inflation. It’s good for the economy, but most things that are good for the economy put upward pressure on interest rates. Today’s early data are mixed, but the most important mover of rates appears to be the likely changes at the ECB. Mortgage rates today remain very favorable for anyone considering homeownership. Residential financing is still affordable. This week delivers many important economic reporting and the potential for more movement in mortgage interest rates. If you’re not yet locked, pay careful attention next week. We’ll break down these individual reports and how they affect you next week. In general, 30-day is the standard price most lenders will (should) quote you. The 15-day option should get you a discount, and locks over 30 days usually cost more. If you need to hit a certain rate to qualify or make a refinance work, and you can get that rate today, I recommend grabbing it. Keep in mind that longer locks can cost at least .125 percent in FEES for 45 days or .25 percent in FEES (not the rate) for a 60-day lock. The Mortgage Forgiveness and Debt Relief Act: What was that again? The Mortgage Relief and Debt Act is not in the news, and that’s a crime. It probably seems odd that after more than a decade, we’re still picking and pulling over the mortgage meltdown. The reality is that fallout from that event continues to impact our real estate markets. In fact, there’s a very good chance that the value of your home has not fully recovered from the crash. The Joint Center for Housing Studies of Harvard University looked at our 100 largest metro areas and asked how they’ve been doing since home prices crashed. With prices up so much in recent years, it may surprise you to learn that “home prices in only 41 of these metros now exceed previous highs, while prices in 32 metros are still down 15 percent or more. To deal with the personal fall-out from the housing crisis Congress did a humane thing. In 2007 it passed the Mortgage Forgiveness and Debt Relief Act. The idea of this legislation was to protect people who had lost their homes against claims of unpaid income taxes. To understand what’s going on you have to look into the exciting innards of tax theory — not the world’s most compelling subject. But you might find it more interesting when you see how bland accounting ideas are used to clobber taxpayers who can’t afford lobbyists and PAC contributions. If you borrow $200,000, you owe the lender $200,000. Seems like clear and straight-forward thinking. As long as you pay back the money, the government doesn’t care. However, if the debt is not fully repaid, then there’s a problem. The government thinks you’ve made out like a bandit, that you’ve gotten income that’s not being properly taxed. Go back to that $200,000 mortgage. Let’s say that after a few years of steady payments you lose your job, your employer closes, you’re hit by a bus, or you contract a dread disease. Whatever the case, you can’t make your monthly mortgage payments and default on your loan. Your home is foreclosed and sold at auction or there’s a short sale. As a result, the lender recovers $150,000. The IRS looks at it this way: There was a $200,000 mortgage, but only $150,000 was paid back. Then it says as a result there’s $50,000 missing. That money is “imputed income,” and the borrowers should now be taxed at regular rates for the missing money. It’s an interesting theory, but in practice, here’s what it means. Maybe a family encountered tough economic times. They weren’t stealing from anyone. The government will try to collect taxes from individuals unable to repay mortgage debt. Is it a good use of government resources to chase people who cannot pay the taxes on money they did not get in the form of a payroll check or dividend payment? Most of all, is it a waste of time? The Mortgage Forgiveness and Debt Relief Act of 2007 neatly solved the problem. 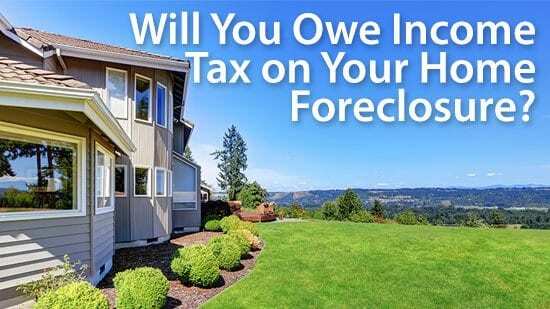 Homeowners could protect up to $2 million in foreclosure debt from income tax. The problem is that the legislation was only good for five years. It was designed to expire in 2012. Consequently, it was extended several times. It last expired at the end of 2016. As of this writing, the only way to avoid the imputed income trap is to discharge your mortgage debt through bankruptcy. However, non-recourse loans (loans in which the lender is not allowed to pursue borrowers for the difference between the foreclosure sale proceeds and the loan balance) are not subject to imputed income. The Mortgage Bankers Association (MBA) is forecastinga sizable jump in new home sales in January. Based on responses to its Builder ApplicationSurvey (BAS), MBA estimates that applications for the purchase of newlyconstructed homes rose 18.4 percent compared to those during the previousJanuary and were up 34 percent from December. The change is not adjusted toreflect typical seasonal patterns. Based on theapplication volume and other market data, MBA estimates sales during the monthwere at a seasonally adjusted annual rate of 700,000 units. This would mark again of 26.4 percent from December’s pace of 554,000 units. On an unadjustedbasis, the estimated change from December was 35 percent, rising from 40,000 to54,000 new homes sold. MBA says 71.7 percentof loan applications received during the month were for conventional loans and15.3percent, for FHA products. RHS/USDA loanshad a 1.2 percent share and VA loans accounted for 11.7 percent. The averageloan size of new homes decreased from $339,203 in December to $338,918 inJanuary. MBA’s BuilderApplication Survey tracks application volume from mortgage subsidiaries of homebuilders across the country. Utilizing this information, as well as data fromother sources, MBA provides an early estimate of new home sales volumes at thenational, state, and metro level as well as counts of the types of loans usedby new home buyers. Official new home sales estimates are provided monthly bythe Census Bureau. It records sales at contract signing, which is typicallycoincident with the mortgage application. Census Bureau data on new home salesin January will be published on February 26. If you’re looking to buy a foreclosed home, for yourself or to fix and flip, here’s a key tip. Make like a Boy Scout, and be prepared! Thoroughly research the local market, the purchasing process and the players. And above all, set your expectations to realistic. If you think foreclosed homes are underpriced “rough diamond” mines just waiting to be tapped, you’re likely to be disappointed. Ten years ago, many foreclosed homes sold for 18 percent to 59 percent less than comparable non-foreclosures. Today, foreclosed homes sell for about 5 percent below non-foreclosures in the same market and location. On the upside, many bank-owned homes today are in better condition than those of yesteryear. Thanks to the improved housing market, you’ll see fewer broken-down, hollowed-out shells. So how can you spot a bargain – and then buy one? To start, research people as well as properties. Buyers often find bargains by first finding agents who know where the bargains are. Search for brokers and selling agents who’ve been hired by the banks to market foreclosed homes. Note: foreclosed homes are also called real estate owned (REO) properties. Many of these agents are specialists. All they do is sell foreclosed homes, often for discounted commissions because they sell them in volume. 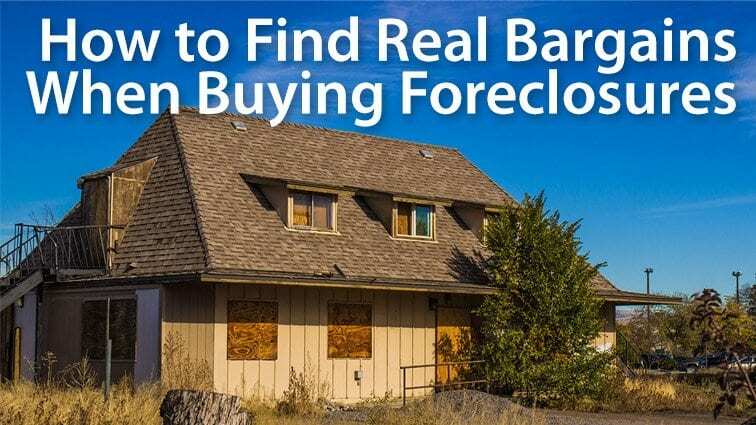 At the same time, seek websites that feature databases of foreclosed homes, as well as local real estate sites with foreclosure property sections. One of the first places you should look to buy foreclosed homes is HUD’s website. It lists foreclosure homes owned by HUD (FHA loans), the VA, the IRS, USDA and other agencies. HUDHomeStore.com, for example, lets you search within your state for its foreclosure properties. It gives those who want to live in their home a head start over investors, often only allowing owner-occupiers to bid for a number of days before opening up bidding to other buyers. You need to be represented by a licensed real estate agent to bid on one of these properties. There’s a bonus — not only do you get a (possibly) under-priced property, if you’re a first responder or teacher, you may be able to get that home for half price and put just $100 down. In most cases, you will only interact with the bank’s agent, not the bank. For that reason (and others), it’s a good idea to hire a buyer’s agent to protect your interests. Unless you have experience buying foreclosed properties, your agent should be a veteran in this market. Today, foreclosed homes in fairly good condition and prime locations are rare gems. In other words, they usually sell fast. To beat the competition, you’ll need financing in place before you start shopping – unless you plan to pay cash. If you have the money, you can pay cash now and refinance later to get (most of) your money back, if you choose. Get a pre-approval letter from one or more mortgage lenders – not just a pre-qualification letter. Pre-approval involves actually applying for a mortgage and submitting the documents underwriters need to commit to a mortgage approval. Pre-qualification might not even involve checking your credit score and only asking you to estimate your income. A pre-approval letter confirms that you will be able to borrow X amount based on that lender’s evaluation of your credit score, assets and income. With pre-qualification, the lender is merely estimating how much you could borrow. It is not committing to such a loan. Don’t assume that the bank that owns the home will lend you money to buy it. Many banks will have you complete a mortgage application or otherwise evaluate your finances. (They don’t want another foreclosure on their hands.) But that doesn’t mean they’ll give you a mortgage. A bank’s REO department is in charge of disposing of bad assets, not issuing mortgages. Buying a foreclosed home and financing the purchase are two separate transactions. Before making an offer, you and your agent should assess the local market. Consider the home’s condition, location and the prices for which comparable properties (“comps”) have recently sold. In addition, you may want to determine the absorption rate – the speed at which comps are selling. If prime properties are selling in just days, your offer may need to be as sweet as high-fructose corn syrup. Expect the bank to demand you purchase your foreclosure property “as-is.” Expect it will want to use its own title company or real estate attorney. And you’ll need to provide proof of funds and/or a mortgage pre-approval letter with your offer. Buying a home: How to deal with tough competition? You can negotiate several most common items: price, costs, property inspection, and the closing date. Don’t expect a price discount for any repairs you may need to make. Unlike 10 years ago, most banks are not desperate to sell REOs. Instead, they are seeking to maximize sale proceeds — the net. With your offer, your real estate should be willing and able to prepare and submit a “net sheet,” which includes all closing costs, who pays what, and how much the bank will ultimately net at closing. You can try playing hardball if a property has been on the market for (say) 30+ days. But if a foreclosed house doesn’t sell fast, it’s probably for good reason. Always get a home inspection before making an offer. When you buy a foreclosure, you’re taking the property “as is.” Also, always make your offer contingent on satisfactory results from the inspection. This doesn’t mean the house won’t need some work. It probably will. You just don’t want to buy a house and later discover that the furnace hasn’t had any maintenance since the Nixon Administration. Working with the home inspector and/or a local contractor, develop a repair estimate. Then use that figure to help formulate an offer that is both realistic and competitive. If your “dream foreclosure’ is in livable condition, and lenders consider you a good risk, you may qualify for a conventional mortgage. Financing problem solved. However, if the house requires heavy-duty TLC, an FHA 203k loan may be your best option. The FHA 203k allows you to borrow for both the home purchase and repairs using just one loan. Fannie Mae offers a similar home purchase and renovation loan – the Fannie Mae HomeStyle® program. Compared to the 203k, its eligibility and costs are more palatable. However, it has stricter down payment and credit score criteria. Because of the paperwork involved, and a requirement that you use only licensed contractors, neither type of loan is suitable for minor repair projects. Although foreclosed homes are not as abundant or inexpensive as they once were, good deals can still be found. You simply need to know where to look – or hire someone who does. Just be prepared to strike the moment you uncover a real bargain. Today’s mortgage rates are trending higher. You can offset this somewhat by shopping aggressively for the best deal among several competing mortgage providers. It’s a proven strategy, according to several studies. However, you may want to get pre-approved for a loan at a slightly higher interest rate — you don’t want your approval to expire if rates rise just as you locate the perfect property.